After the wedding time, guess what is waiting for you next? – It’s honeymoon. It is a chance for the newly married couple to spend romantic time. Also, you can leave all the inconveniences behind and escape to a paradise for two. From luxury accommodation at a fair price, romantic dinner with roses and wine to wild experiences and nature discovery, everything you have ever dreamed of, Halong Bay cruise will satisfy you. Below are 6 things that you and your beloved can experience on Halong Bay cruise – best ideal for honeymoon couple. There are a countless number of hotels and accommodations for travelers in Halong Bay ranging from less than ten to hundreds of US dollars per night. However, we recommend you to spend your honeymoon holiday on a cruise in Halong Bay. 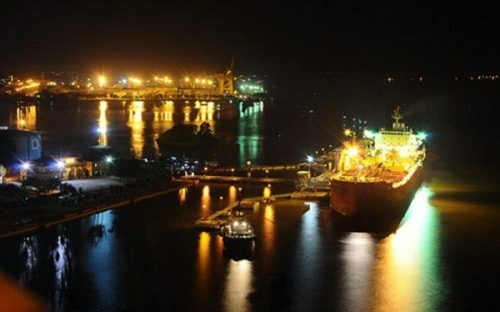 It is the place where you can experience many exciting water activities. Or you can simply enjoy each other’s company in the most romantic atmosphere on earth. A cruise trip usually lasts two or three days traveling to many sightseeing attractions from Thien Canh Son Cave, Sung Sot Cave to Ti Top Island and many floating villages. The cruise not only takes you on tour around Halong Bay cruise but also provides you some good services such as spa, buffets, water games, cooking classes, etc. You can start your day with an early morning Tai Chi exercise on board. Tai Chi is a kind of material art combining deep breathing and relaxation with slow and easy movements. It is really beneficial for your health as it helps to reduce stress, breath properly, improve balance and general mobility. If you want a day full of energy, just wake up at 6:00 am to join the Tai Chi class. The rising sunlight, the smell of the sea and some gently physical exercises will surely heal your body and soul. Going on a cruise trip in Halong Bay, you will have a chance to appreciate a romantic dinner by the beach designed exclusively for couples. It includes roses, candles, wine and of course a great serve of fresh seafood and many traditional dishes of Vietnam. Just imagine a breezy night sitting in front of your loved one at a nicely prepared table, in the middle of sparkling lights of candles and the sound of the waves crashing on the shore. What is more to expect? Enjoying the landscapes flowing by from the cruise is a relaxing way to experience the aspects of Halong Bay. However, if you lovessomething more adventurous, kayak should be one thing you need to try. At first attempt, kayaking can be quite difficult but once you can control the boat, you will find it the most exciting thing you have ever tried in your life. Steering a kayak, you can totally feel the exotic beauty of the bay from the closest distance by exploring the mysterious caves. Also, let’s feast your eyes upon the birds perching at those ancient rock-tops and touch the row of corals beneath the clear water. Cat Ba is a relatively small island in Halong Bay but the largest of 367 islands making up the Cat Ba Archipelago. The island owns some impressive natural beauty ranging from the enormous national park to breath-taking beaches and caves. 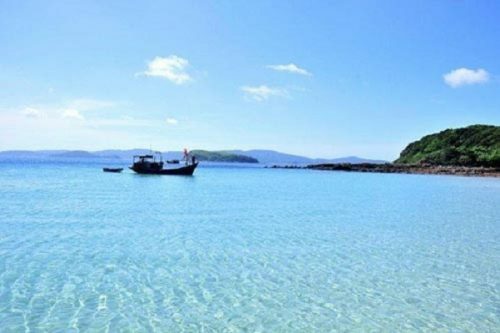 The moment you meet Cat Ba Island, you would be mesmerized by its beauty while exploring the limestone hills, the pearl blue sea, and the hidden waterfalls. There is so much to do on this island that it is hard to share them all with you. Taking a day tour is highly recommended if you want to try all the interesting water games. 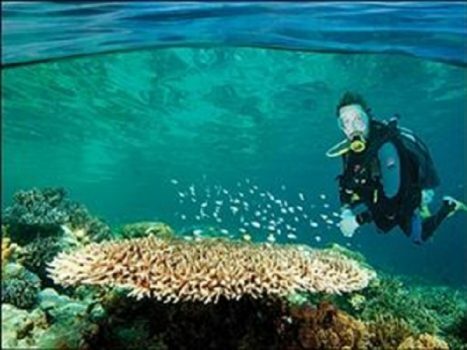 They offer including a variety of activities like swimming, kayaking, and snorkeling. Last but not least, your honeymoon holiday with Halong Bay cruises would not be complete if you don’t take time to chill at one of its beautiful beaches. Halong is luckily blessed with many tranquil and peaceful beaches including Ti Top Beach, Bai Chay Beach, Tuan Chau Beach, Ngoc Vung Beach and Quan Lan Beach. You two can spend a nice day taking sunbathe together under the bright sunshine and flow with the sound of palm trees rustling in the light breeze. Moreover, if you want to totally relax from all the worriment and tiredness, don’t hesitate to dip yourself in the cool green water of Halong beach. You will feel like leaving all the bad thoughts behind and sinking into the magical world where there are only the two of you and love. Don’t hesitate to contact your travel consultant in order to plan your Indochina tours for your honeymoon trip.